Having your own resume (CV) website allows you to get discovered easily by potential employers and clients. 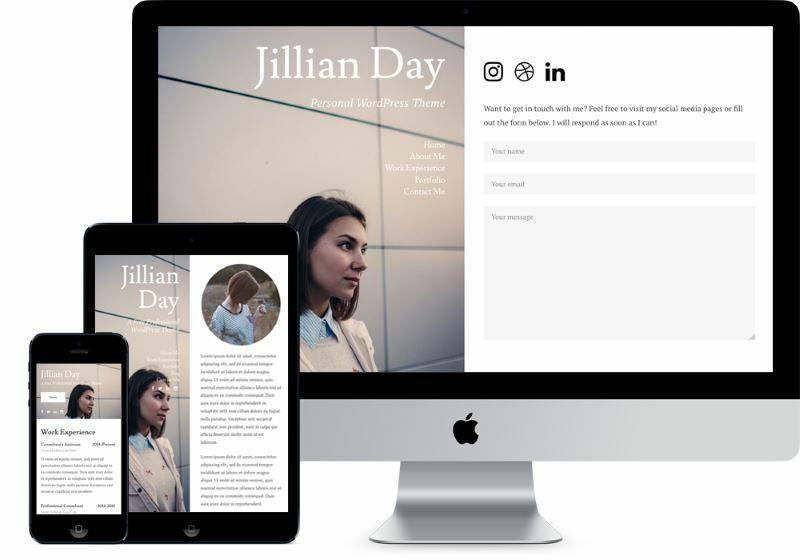 With our collection of best resume WordPress themes, both free and premium, you will be able to showcase your personal brand in professional manner. In this article, we have collected together some of the best resume WordPress themes which are clean, responsive and easy to setup. In case you don’t want to go with WordPress, you can check out our collection of professional resume website templates for building your resume website with HTML and CSS. Why should you have Personal Resume Website? If you are a professional or a freelancer, having just a resume is often not enough. You potential employer who are seeking out more information about you may visit your social profiles as well your website. 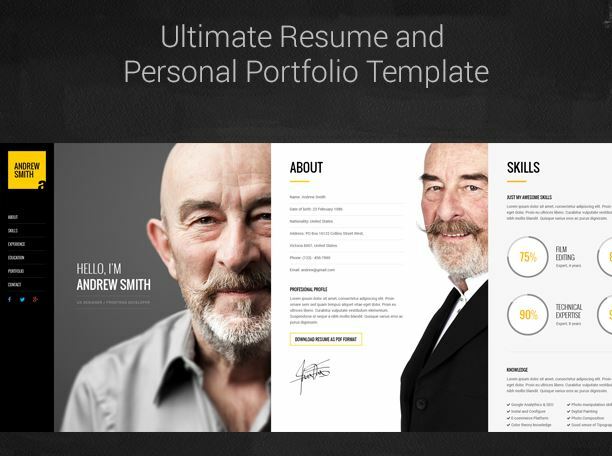 This is why you should have an up-to-date personal resume website with additional information such as portfolio and client testimonials, that you can’t generally include in a resume. Having a personal resume website, also makes you discoverable via search engines. Moreover, your website can have a downloadable resume (PDF or Word), which is handy in case you want to quickly send out link to your resume to HR managers, recruiters or employers. Sometimes, having just the resume online may not be enough to impress your employers, and that is why many professionals often blog on topics in their area of expertise. This enables you to showcase your talent as well as experience. WordPress becomes the default choice in such case to build your resume website and that is why we are bringing you this collection of best resume WordPress themes. 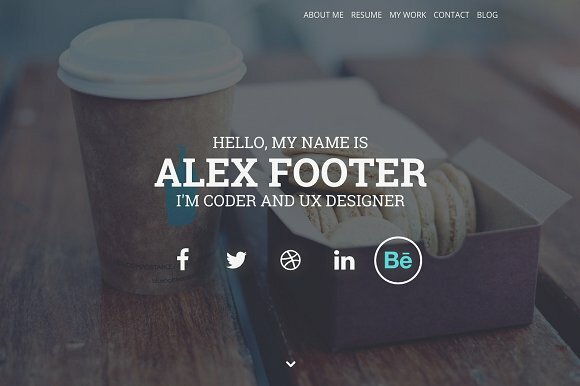 Find below our picks of free resume themes for WordPress. There are very few free quality resume themes which we can recommend and our list of free themes is rather short. Nonetheless, find below some of the best theme options in free category. You may want to check out themes in premium resume themes section too as they offer wider design choices. Hired is a free responsive WordPress theme, perfect for professionals to display resumes and contact information on their website. This theme by Modern Themes is a free download and has clean, modern design along with customization like Google font selector and color options. The theme also offers free lifetime update and has an option to setup your website just like the demo site using the sample content provided. You will also find it easy to get the theme translated using the included .pot file. Personal is another beautiful free theme from Modern themes. 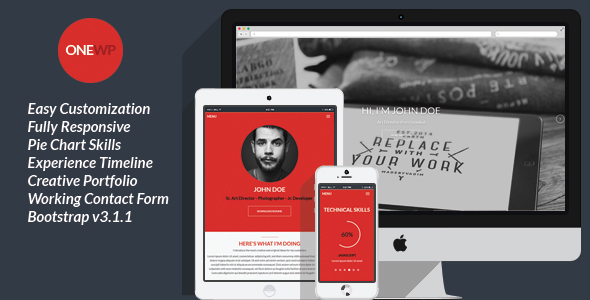 Just like Hired, this theme also is suitable for professionals to display their Work experience and Portfolio. 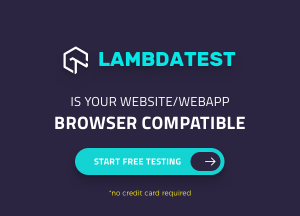 The theme also offers free lifetime update and has option to setup your website same as the demo site using the sample content. With the included .pot file, translating the theme is also possible. Portfolio by Modern Themes is a modern take on a portfolio and blogging theme for the creative professional. This beautifully designed theme has modern grid layout with subtle animations on hover to showcase your work on homepage. The blog section features large typography and large header images with single column medium like reading layout. It also features a slide-out menu which works on mobile devices too. As with all other themes from Modern Themes, this theme also offers tons of customizations and easy translation. 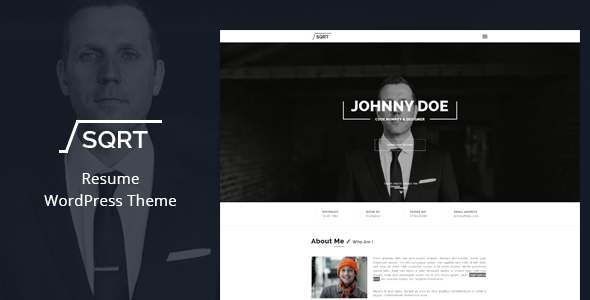 CV Card is a vCard based WordPress theme for personal portfolio sites. It has options for simple blog, portfolio and works well with all devices. The theme has 6 custom page templates (About, Blog, Contact, Homepage, Portfolio, Resume) and custom post type ( Portfolio ). The theme is fully responsive and customizable. It uses Twitter Bootstrap 3, Microformats and Font Awesome icons. CV Card Theme supports post formats (audio and video) and has support for advanced custom fields, contact form, custom background, custom menu (1 level), custom colors, Google fonts, Google maps, featured images, masonry style for blog page and smooth scroll. While free themes are good way to start building your resume website, however, you may want to invest a bit more in yourself and choose a professionally designed premium theme. These premium resume themes from ThemeForest, CreativeMarket and TemplateMonster (affiliate links), tend to offer better support and compatibility with different browsers as well as many customization options. SQRT is a one page parallax WordPress Theme for Resume, vCard, CV suitable for freelancers for creating an impressive online resume. This WordPress CV Theme has a fully responsive layout and works well with all mainstream browsers. This theme comes with drag and drop layout manager and has a sidebar navigation menu. It comes with 4 home page variations, 3 navigation styles and customizable backgrounds (colors, images or patterns). Based on Bootstrap 3 & FontAwesome, this theme also supports Google Fonts and is Translation ready. 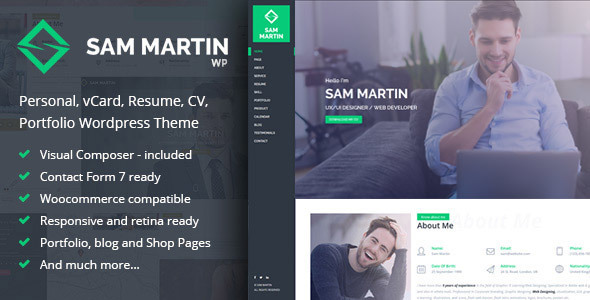 Sam Martin is an elegant, clean and beautiful WordPress portfolio theme for creatives and professionals who are looking to showcase their portfolio as well as their resume in a great modern way. This Theme is suitable for Techies, Lawyers, Writers, Wedding Planners, Models, Trainers, Doctors, Barbers and others who need an attractive way to set themselves apart from competition. 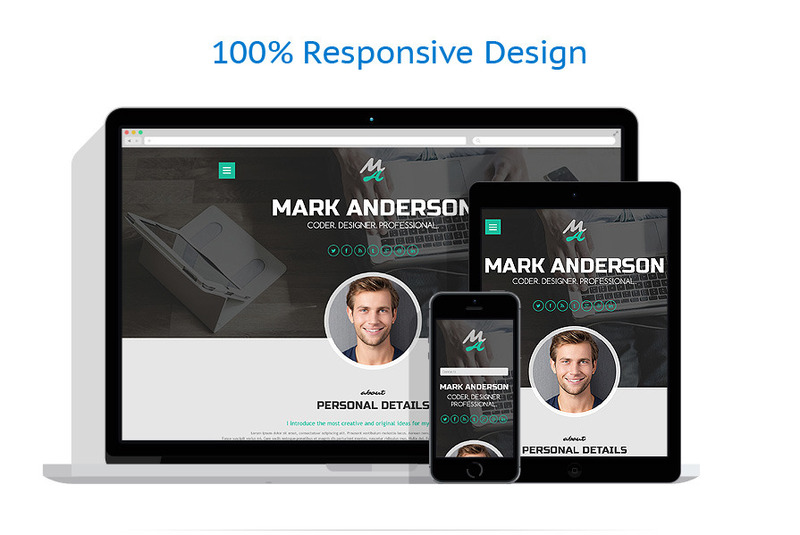 The theme is fully responsive on any device. You can choose from variety of colors and do other customizations. The theme has Visual Composer so you can easily adapt your templates to suit your needs. Check out the pre-built theme demos to learn how this theme can be customized. 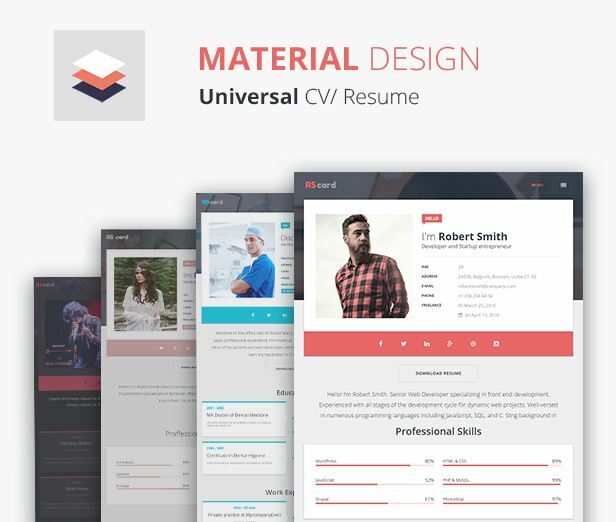 This material design Resume, CV and vCard WordPress theme is one of the top selling resume themes on ThemeForest. Included in the theme are powerful page builder, timeline view, availability calendar, pricing tables, image slider, 200+ social icons, custom color schemes and more. The theme also has RTL support and WPML plugin support which provides possibility for multilingual pages. 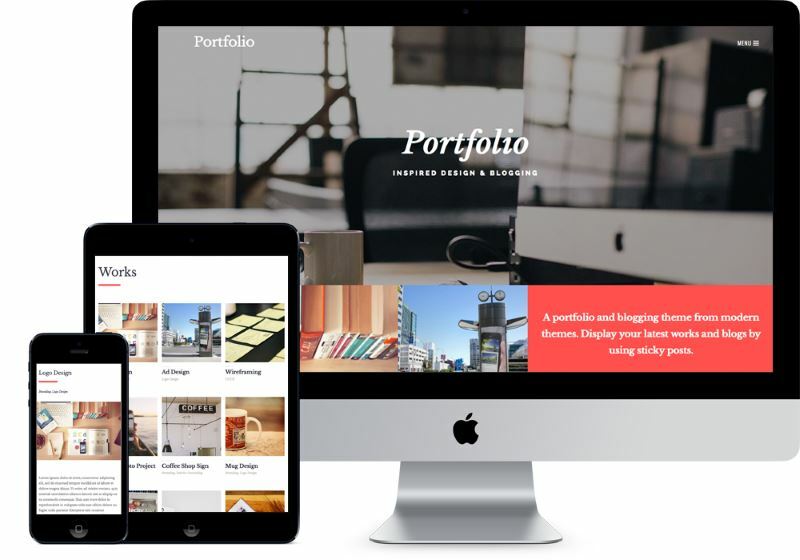 HighClass Portfolio WordPress theme from TemplateMonster is an optimal way for creating your portfolio on the web. Job seekers can easily display their personal and career details along with skills and showcase of projects. The theme offers multiple color options, customizable typography, filterable portfolio, sliders, and parallax effect on scroll. The theme is multi-lingual ready and also includes a contact form to let potential employers get in touch with you. Once you buy the theme, you will get lifetime free updates too. 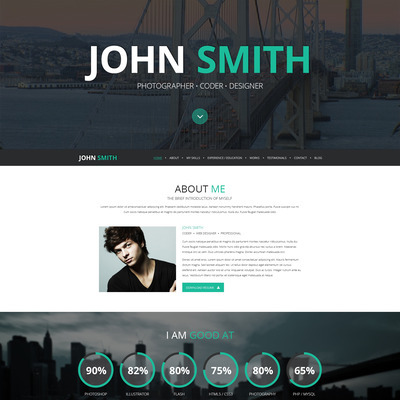 This photographer CV WordPress theme is suitable for photographers who want to display their portfolio online. This one page design with short bio, education information, portfolio and timeline is created with idea to present the skills in the best possible way. The theme supports custom post types and is multi-lingual ready. Download the theme today and get free lifetime updates with your purchase. 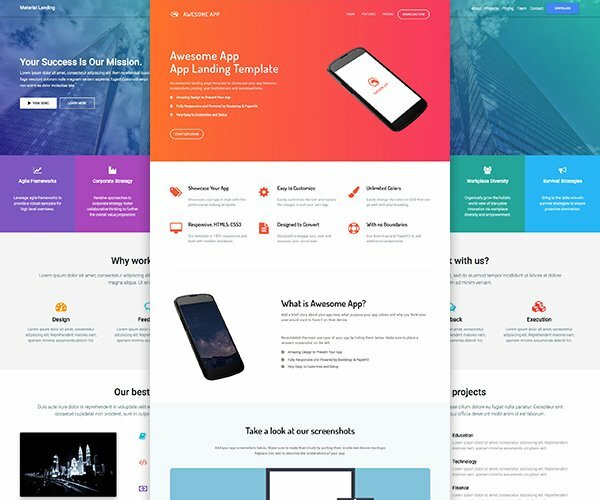 This online CV WordPress theme includes snappy animations and parallax scorlling for displaying your portfolio in a unique professional design. With the support of background video, you can add unique interactions to your website. This SEO optimized and bootstrap based WordPress theme supports Google fonts, font icons and is compatible with WPML for translation. It has built-in web form to let customers and potential employers get in touch with you. Nitteo is a responsive WordPress theme for designing one page portfolio sites and showcasing your resume and work. Nitteo offers customizable color schemes and crossfade background images. It also has parallax background and support for font awesome icons. You can integrate it easily with Contact Form 7 and Responsive Lightbox plugin. 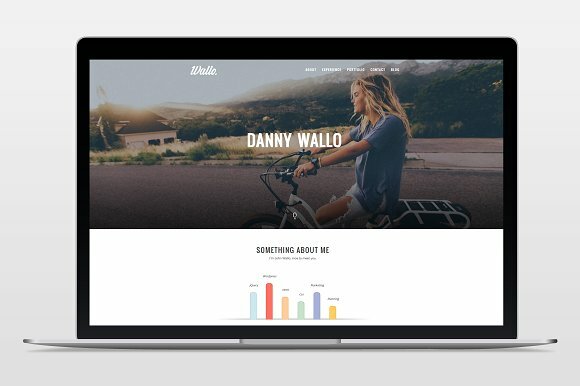 Wallo WordPress theme is a responsive portfolio, resume theme with parallax effect and on-scroll animations. The homepage has sections for about me, experience, portfolio, contact and footer. This theme is built with Bootstrap and is SEO friendly. You can add Contact Form 7 as well as Responsive Lightbox to the theme. 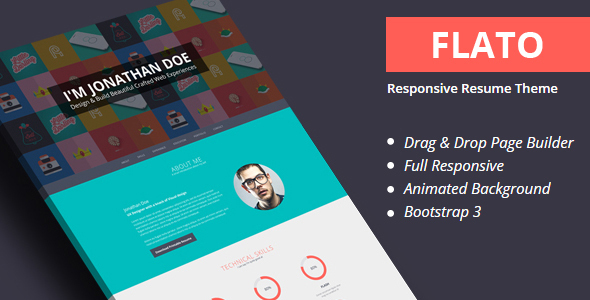 Flato is a flat, minimalist, professional & multi-purpose vCard resume theme. Whether you are a designer, programmer or manager, this one page resume WordPress Theme is perfect fit for the job of showcasing your online portfolio. The theme comes with drag and drop page builder and has 3 fully responsive layouts. It supports animated image grid backgrounds as well as full width background slide show. Other features include filterable portfolio, pie chart for skills and a working PHP contact form. 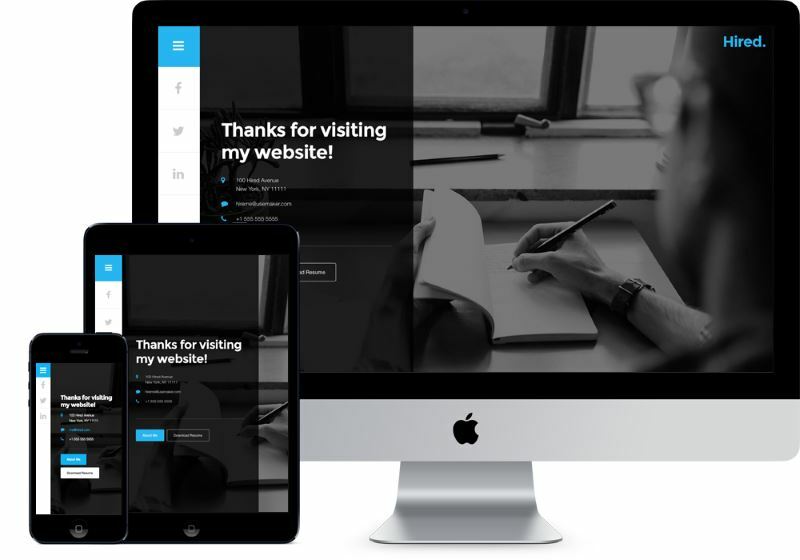 PerfectCV is a clean and modern design CV / Resume WordPress theme based on Twitter Bootstrap with responsiveness and is retina ready. Built with clean and modern HTML5 and CSS3 code, it’s a well commented and well documented theme. 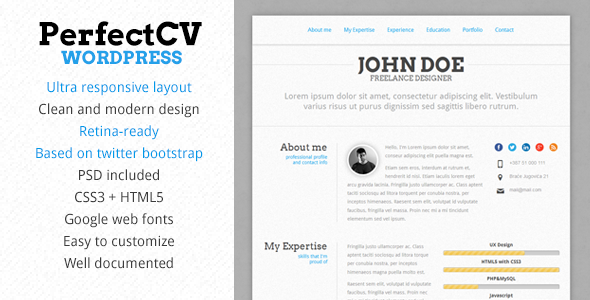 PerfectCV is very easily customizable via the WordPress Theme Customizer. You can easily adjust section display options, edit section titles, contact info and much more. Apart from being print ready and SEO friendly, this theme also includes localization support and child theme support. MEE is a responsive Resume / CV WordPress theme, perfect for displaying your resume (education, experience, awards) and portfolio in a professional way. It comes with one click install demo data, Visual Composer page builder and more so you can easily and effortlessly build a website in no time. MEE theme features a modern horizontal one page scrolling, animated skills pie charts, language skills with progress bar, portfolio section with big images, lightbox gallery, touch enabled carousel scroller and a working contact form with validation. 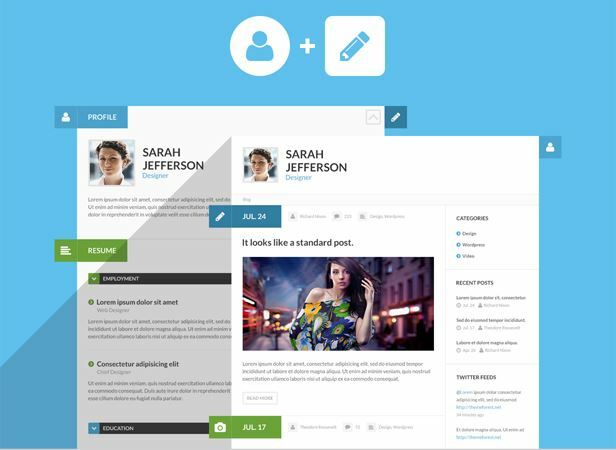 ShiftCV is a modern, flat design CV resume WordPress theme with blog and portfolio support. It has support for Standard, Gallery, Video, Link, Quote, Audio post types along with Resume Page template. The theme has dark and light color schemes, is translation ready and includes 21 layered PSD files. 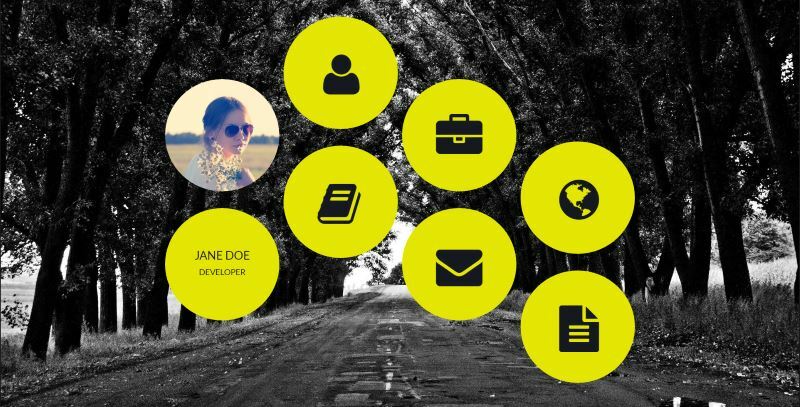 This is a flat, responsive resume and personal portfolio theme for placing your personal information and skills. 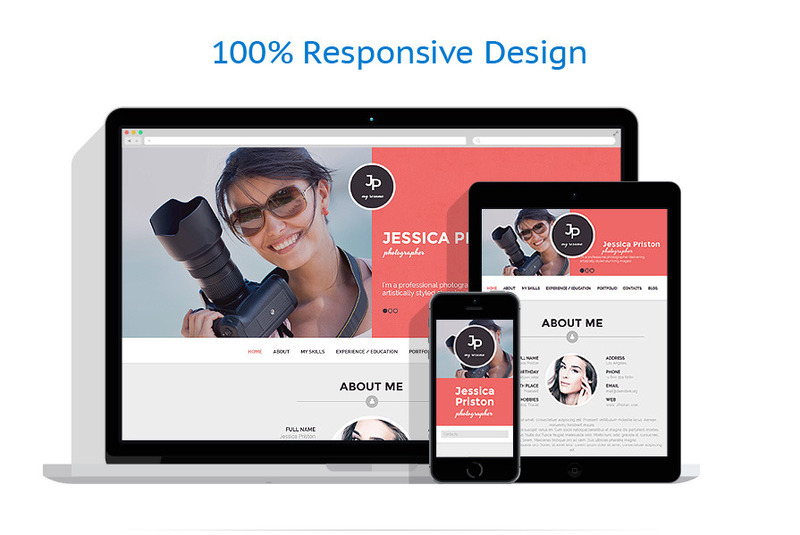 This fully responsive theme includes pie chart skills display, experience timeline, creative portfolio, working contact form and works in all major browsers. While having a WordPress theme specifically designed for resume/CV is ideal, you may want to exercise other options too, such as adding a resume in your existing WordPress site. For achieving this, you can use the free resume builder plugin for WordPress. This free resume builder plugin allows you to build out your complete resume, contact info and skills list in any WordPress theme. The plugin includes shortcodes for displaying your resume, skills and contact information in different locations. It also includes a widget to place your information anywhere in the WordPress site, such as sidebar. Once you have selected the WordPress theme of your choice, hosting the website is the only thing keeping you away from your awesome online resume. You can go with our recommended hosting provider for easy website setup with WordPress. If you don’t have a domain name yet, then the hosting provider will also let you register one. For personal resume website, we recommend going with the domain name same as your name. While .COM is the most desired TLD, you may also want to go with .name, .me, .io or .co when the .com is not available for your name. Another good option is to go with your country specific top level domain. In case you face any trouble, you can always reach out to us and we will be glad to help you with your queries. Please keep in mind to provide complete details of the trouble you are facing. Along with having your resume online in your website, you should also have your resume handy in Word or PDF format for sending to your potential employers. 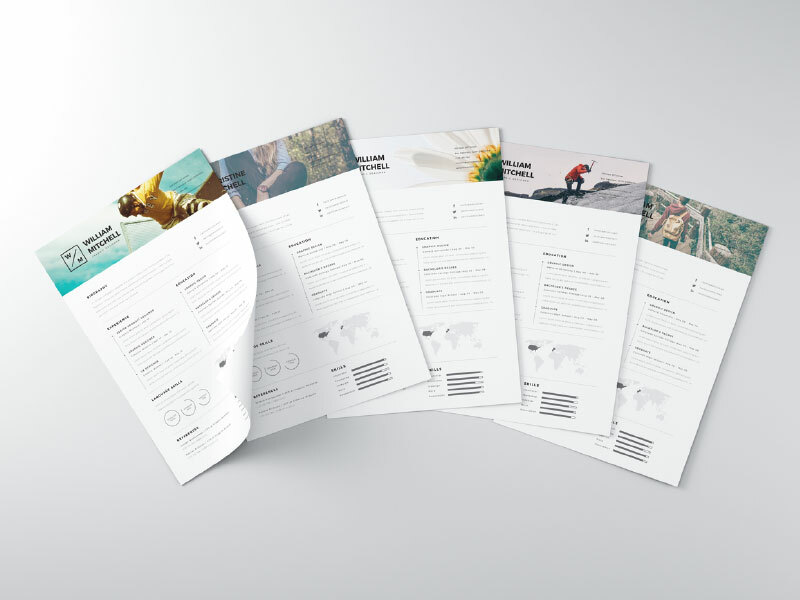 For this purpose, take a look at our collection of Minimal & Creative Resume Templates as well as some of the best and trendy Material Design Resume Templates. We hope that you found the resume WordPress theme of your choice from our collection above and we gave sufficient information to get started with building your online presence. If you have any queries or suggestions then please don’t hesitate to add them in comments below. i was having a hard time finding a good theme to make a website for my friend who want to make it like a portfolio. i almost bought a theme from revglue which i usually choose but this article have saved me .